Workers in the manufacturing industry suffer a “significant excess incidence of some cancers” as a result of carcinogen exposure in the workplace, with often inadequate controls. The damning insights come from a May 2016 report by Safe Work Australia (SWA), which cites The Australian Work Exposures Study (AWES) along with previous Australian and international studies. Key data for SWA’s report comes from 281 AWES respondents who were working in manufacturing. Of these, 189 (67 per cent) had probable exposure to at least one carcinogen. Diesel exhaust, chromium, tobacco, nickel, UV and wood dust were the most common. Exposure levels of the 281 respondents to those six carcinogens, and their possible associated cancer risks, and are outlined in Table 1 below. Specific controls for each carcinogen are outlined at the end of this article. Sanding or using tools on wood or particle board, using compressed air to clean wood dust. The reported use by respondents of OHS control measures to reduce or prevent carcinogen exposure varied considerably depending on the applications and circumstance, however the report states that the use of controls could be improved for a number of common tasks. Reinforcing this are previous studies cited in the report, both in Australia and overseas, that have found control measures for the carcinogens faced by manufacturing workers are often insufficient. The result of this carcinogen exposure is a “significant excess incidence of some cancers” among manufacturing workers, according to a study conducted in Nordic countries. It found that workers in manufacturing faced a significant increase in cancers including oesophageal, sinonasal, lung and bladder cancers. The least consistent use of control measures includes UV exposure – where only 7 per cent of workers are adequately protected, and soldering – with 47% adequately protected, according to the report. It states that carcinogen exposure minimisation strategies should focus on the most common carcinogens faced, including “diesel engine exhausts, reducing the use of trichloroethylene as a degreaser, and encouraging more frequent use of ventilation systems and respiratory protective equipment for tasks like welding, soldering or wood work”. Specific information on controls for the top six carcinogens – as recommended by the report – are outlined below. Monitor diesel levels, substitute vehicles for those with safer engines, use particle filters and ventilation systems, regularly maintain equipment and minimise the amount of time spent around the emissions. 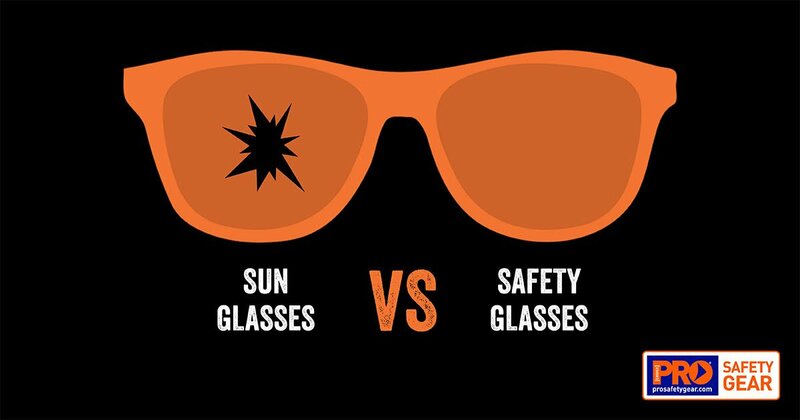 Install screens or partitions, use warning signs, provide PPE – including filter shades for goggles and face shields, and ensure protective clothing (gloves and long sleeves) is worn. Preventing exposures to airborne contaminants and carcinogens may include using a less hazardous chemical, working in isolated booths, installing ventilation systems and providing appropriate respiratory protection which should be air-supplied when working in isolated boths. For more info read Pro Safety Gear’s Safe Welding Guide. Smoking in enclosed workplaces is banned nationally, while as at September 2017, Queensland, Tasmania, Northern Territory and New South Wales prohibit smoking directly outside a building. Exposure to tobacco smoke in the workplace is best controlled if smoking is prohibited in all workplaces. UV control measures may include working in shaded areas, eliminating or reducing reflective surfaces, rostering to minimise time spent outdoors when UV is highest, and the use of PPE. Only 7 per cent of survey respondents used adequate controls to prevent UV exposures, while working in the shade and wearing sunscreen were used by a worryingly low 43 and 29 per cent respectively. Learn about the difference between 50+ and 30+ sunscreen. Local exhaust ventilation, vacuum cleaning methods rather than compressed air or sweeping, isolation of dusty processes, external exhaust, separate enclosed work areas, and the provision of overhead filtered air supply or air fed masks.